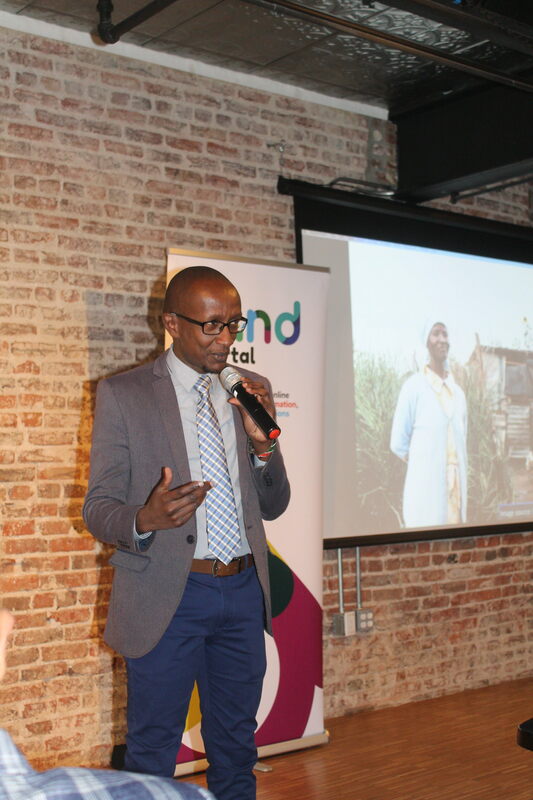 We now need to work together effectively and share knowledge about land rights issues with key and wider audiences, as well as with one another. It is therefore paramount that awareness is raised amongst key policy makers on the importance of information sharing, knowledge management and, more specifically the power of an information ecosystem. This is precisely why we decided to convene the Partnership for Action: Information ecosystem for land governance workshop. From the 17-18th of March, 45 eager participants from organizations across the land community, from DC and abroad, joined us to help identify information gaps with regards to land issues, to strategize on how to increase access to information and how to use it in order to address identified land issues, as well as to collectively raise awareness and build capacities to gather and communicate knowledge to reach a wider impact and be part of the information ecosystem. We discussed all aspects of the data cycle, and came up with a concrete plan and commitment to collectively look at existing information sources per country. Ultimately, the coming together of such a diverse group of actors means that we want to coordinate efforts, rather than duplicate them. We look forward to seeing what lies ahead. 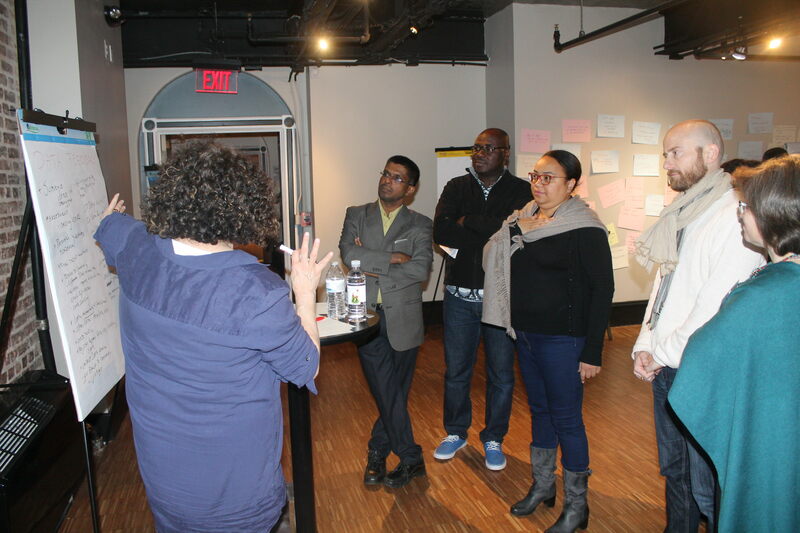 For more on what workshop participants see as the way forward, scroll below! 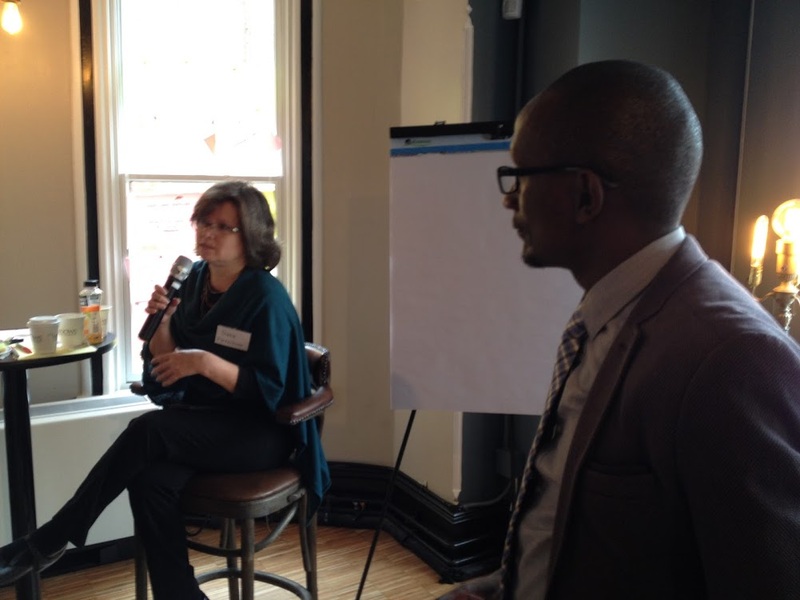 The need for a Partnership for Action was validated as a powerful tool among participants. The SDGs, new urban agenda and other global frameworks are a great opportunity to enhance collaboration connectivity with data; however it looks like more specific conversations are needed to strengthen partnerships and to move forward collaboratively with the various approaches presented during the workshop. Finally, and once again I want to recognize the high value Land Portal adds to the Solid Ground advocacy strategy in LAC by incorporating concepts, tools, learning, skills on open data ecosystem. We look forward to strengthen this institutional collaboration. It was a very fruitful and very proactive workshop, with lots of new information and inputs that built upon the participants’ knowledge on what a “data cycle and ecosystem” means. I particularly enjoyed the group exercise on data collection, sharing, dissemination and feedback, which definitely was a very insightful “takeaway” from the workshop. I was struck by the difficulty in getting information about users of the data—user experience, usefulness of data, etc. We have struggled with that at Land Wise, and I thought there must be an easy solution I didn’t know about, but it seems it is a difficult issue to solve. On the positive side, I was happy to see a real desire to work together and limited, if any, competiveness. I think we can use the workshop as a jumping off point for greater collaboration. I was somewhat skeptical about our contributions when we first learned of the workshop as we are not known for our data collection work. However, over the two days, I learned more about our own Habitat for Humanity work in the different regions as well as the type of open data available through the partner organizations. 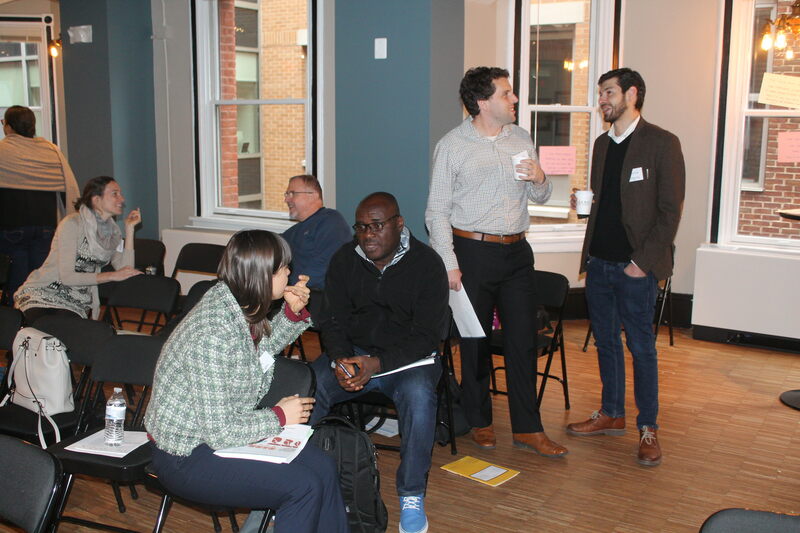 I was particularly interested in the outcomes from our breakout group which explored ways to map out the work we are all doing – both from the rural and urban contexts. Brainstorming about ways to convey and share the value of the data; how to communicate the need; focusing on different audiences; and ways to implement a complex topic was quite a compelling session. The approach presented on data as a collaborative ecosystem for actual change is relevant for Huairou Commission’s work on empowering grassroots women and promoting their leadership. Open data could be used a tool for eviction in certain cases, so it is really important for us to support grassroots women in understanding the importance of data and enhance the role they could play in the data ecosystem. Most importantly, highlighting what they have to gain from it and what kind of contribution they could make. This is area that we as Huairou Commission still needs to reflect on and needs support in. Huairou Commission sees the importance of data but is still struggling in the packaging for it to be useful for bottom up approaches. Grassroots women also collect data for them to understand their needs and the risks that they are facing, how to package it in a way that they could be used and recognized as relevant for other stakeholders. All organisations that work with data, at some point, face some of the challenges associated with the data management life cycle. If we think about standards and definitions, very often organisations develop their own, based on their specific work and internal needs, therefore neglecting the external aspect of this process, which relate to interoperability, exchange and information sharing. The paradox, here, is that having too many standards is like having no standards at all. Looking at existing international standards for data interoperability and data management, matching internal standards and taxonomies against international ones, and sharing best practices on data management and interoperability, is something that this partnership for action can work on, thus facilitating the adoption of a common solution to a problem that usually we all face individually. The most inspiring thing, based on my observation from the workshop, is that there is plethora of tools developed and used by different organizations to collect data on land rights. 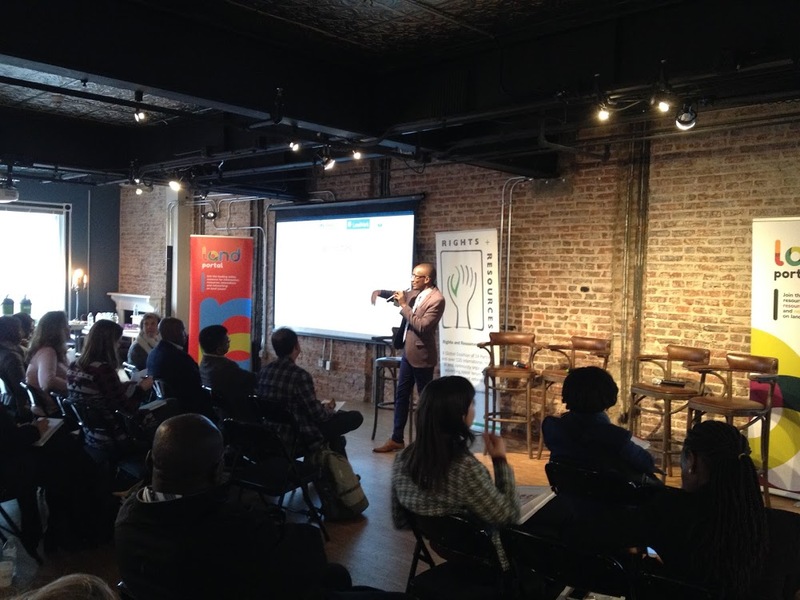 While this is providing an opportunity for Civil Society Organizations to tap on, it requires CSOs to be more coordinated and agree on the concepts, standards and operability of data. In my views, more regional and in-country workshops on data ecosystem are needed to build sustained understanding and coordinated efforts on data collection, management, use, repurposing and re-use. I was positively surprised by the level of participation, engagement and interest in our workshop. 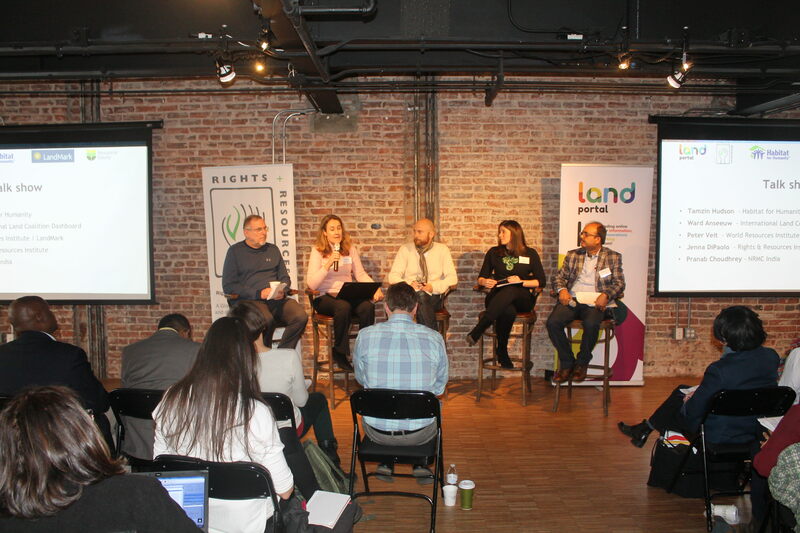 Land rights are now at a point of global attention with several indicators included in the SDGs and everyone is getting on the same page about the importance of improving land monitoring practices. We should all be aware of such unique opportunity and use this unprecedented momentum around land issues to push it high in the global development agenda. As providers of information systems, we have a responsibility to get coordinated, and work more effectively together to increase access to data and information, create a better information ecosystem and offer good information services for decision-making. The Land Portal will continue with the commitment and will proactively follow up with partners on a joined plan of action where each of us will be aware of the work of others, contribute and promote, collaborate with traditional and less traditional partners and finally, reinforce the idea that our work can strengthen and add value to the work of others. 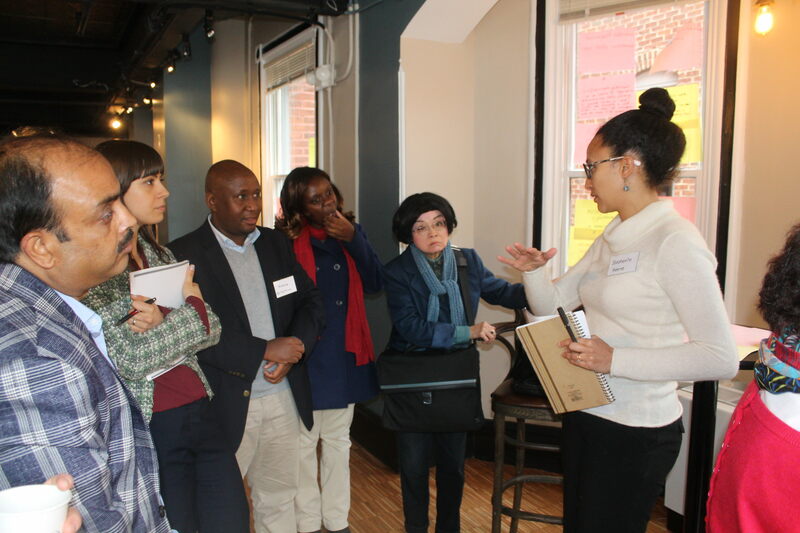 The Partnership for Action workshop in advance of this year’s World Bank Conference on Land and Poverty provided an important opportunity to discuss the challenges and opportunities for generating, accessing, and using critical information on land rights. It was clear that there are real obstacles to getting information on, for example, indigenous and community land rights as well as women’s land rights. The workshop helped shed light on these issues and hopefully will encourage more organizations is get engaged in developing and sharing information on land rights.
" Increasing demand and supply of land data globally as well as locally in response to developments in technologies, awareness, policies and international commitments, rationalises and reiterates the need of building a Partnership Ecosystem. Such a connected, interactive and synergistic initiative is important to make investments more effectives, resources more efficient and avoid duplication while contributing to complementarity in data production and inclusivity in information access. However, while establishing such an ecosystem at global level, adequate efforts and cautions must be ensured to honour the need of localisation of land data to contribute to local policy and inform local stakeholders. Critical is also the need of horizontal exchanges among the global land information actors who usually has their own verticals along types of land-information and local stakeholders. The idea of ecosystem has the potential to connect these horizontal and vertical spaces around types and stakeholders of land information, while also integrating other dimensions of transparency, standards and data-harmonisation needs. This idea on localisation, connection and integration must be harnessed while establishing partnership ecosystem."